The item A dragon's mage, Cecilia Lietz, (ebook) represents a specific, individual, material embodiment of a distinct intellectual or artistic creation found in Charlotte Mecklenburg Library. My name is Samson Drake Slayer. 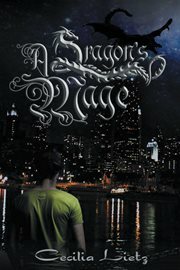 I'm twenty years old, a Chicago cop and a dragon's mage. It's been two years since high school graduation two unbelievable years of building my new life and running from what I really am. I have Connie, the girl of my dreams. I'm a cop, the job of my dreams. Everything seems to be in order, but I know that it is all just an illusion. Ten years ago, things started happening that no one would believe the Mage Uprising and now they're happening again. Warriors are preparing for battle, plots are hatching everywhere I look (and some places I never expected), and the only thing that stands between order and sanity is my girlfriend and her dragon. I'm also the first mage ever to befriend a dragon, and that's made me some pretty brutal enemies along the way. When you try to run from your problems, you may end up running into them all over again. But how long do you have to run until you realize you're only running from yourself?